VX2013 SUCCESS PROVIDES A TEMPLATE FOR WHAT IS PLANNED FOR VX2014. Global and California energy, renewable technology, and sustainability leaders meet under one roof to debrief and demystify energy policy and to share what is driving markets and to pave the way for a future agenda. LOS ANGELES, Calif., Feb. 5, 2013 – For two days this week in Los Angeles, local, state, national, and global private and public sector leaders and environmental stewards tackled some of the most pressing energy and sustainability issues at VerdeXchange 2013. In its sixth year, the conference drew an executive-level, cross-industry / cross-platform audience of more than 600 global influencers from Japan, to China, Canada, Sweden, and Australia. The Conference kicked off Sunday evening at an intimate high-power reception at the home of the Consul General of Japan to Los Angeles, the Honorable Jun Niimi, who, along with VerdeXchange's Chairman David Abel, set the tone for VX2013 through their opening remarks. Monday Morning, Mary Nichols, Chair of the California Air Resources Board, and Congressman Earl Blumenauer, Oregon Democrat in the US House of Representatives, opened the conference’s first plenary panel, “Elections Have Consequences: California’s 2013 Goals for a Green Economy & Climate Change.” 41 expert panels followed over the two-day conference. More than 140 speakers and panelists, including government officials, clean technology leaders, and procurers involved in energy efficiency, transmission, alternative-fueled transportation, water, carbon trading, and green building, shared best practices and insights on the green economy marketplace. 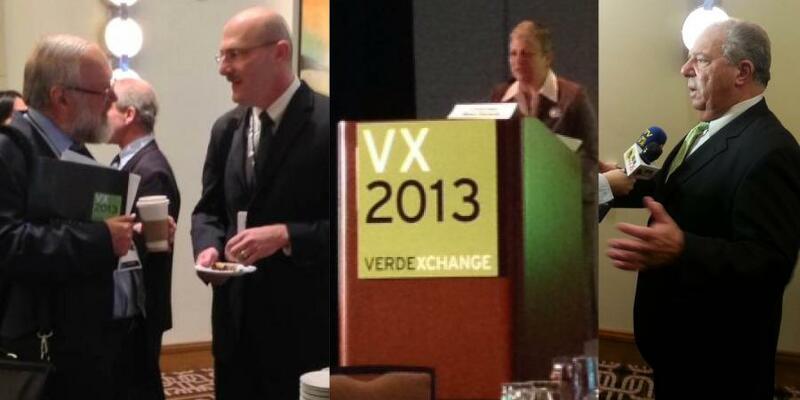 VX 2013 from VERDEXCHANGE on Vimeo. “The VerdeXchange Conference will do for the green marketplace what the Sundance Film Festival did for the movie industry... Nowhere else do I see a confluence of the diverse range of sectors—energy, finance, transportation, public and private utilities, built environment planning and universities—all with the singular goal of delivering and capitalizing on clean and green products and services,” said former US Secretary of Commerce and Former Trade Secretary Mickey Kantor. The day concluded with another intimate high-power reception at the home of the Honorable David Fransen, Consul General of Canada to Los Angeles, who, along with David Abel, capitalized on the day's highlights and affirmed the growing working relationships between Canada and California. 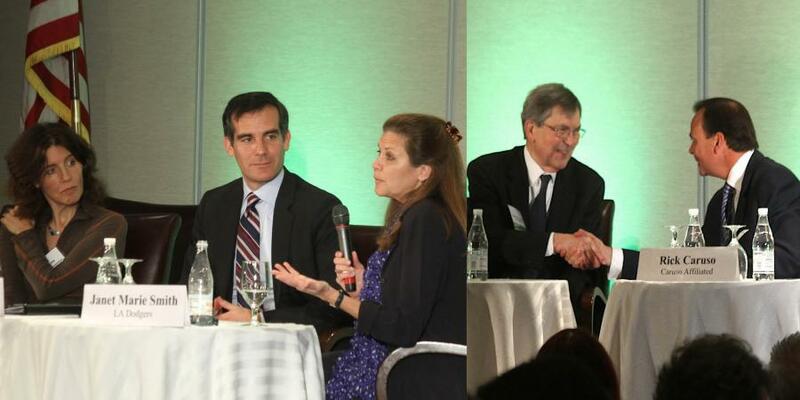 Some of the VX2013 conference highlights included a luncheon plenary on California and China’s cap-and-trade markets being joined by Australia and the Canadian Province of Quebec. The panel was moderated by former US Secretary of Commerce Mickey Kantor, and panelists included, James Goldstene, Executive Officer of the California Air Resources Board; Jean-Yves Benoit, Director of the Carbon Market, Quebec Ministry of Sustainable Development; and Su Wei, Director General, Climate Change Department, China’s National Development and Reform Commission; and Australia's Consul-General in Los Angeles, the honorable Karen Ann Lanyon. An additional and timely plenary session followed: “Regulations & Incentives to Actually Optimize Energy Efficiency,” moderated by Susan Kennedy, Senior Policy Advisor with Alston + Bird LLP and a former California Public Utilities Commissioner; Long Beach Mayor Bob Foster, who is also Chairman, California Independent System Operator; Robert Weisenmiller, Chairman, California Energy Commission; and Ron Nichols, General Manger of the Los Angeles Department of Water and Power, the largest municipal utility in the nation. The second day of the VX2013 conference included nine FutureBuild, from vision to execution, case study panels designed in collaboration with the Urban Land Institute - Los Angeles. The Tuesday Morning Plenary opened with remarks by and a conversation between Pasadena Mayor Bill Bogaard and Los Angeles real estate mogul Rick Caruso on “City Planning for a More Sustainable Metropolis.” The Luncheon Plenary, “Envisioning a Greener Los Angeles,” opened with welcoming remarks from SQAMD boardmember and Los Angeles City Councilmember Jan Perry and featured Los Angeles Councilmember Eric Garcetti; Frances Anderton, Host of DnA: Design & Architecture for KCRW; and Janet Marie Smith, Senior Vice President, Planning and Development, Los Angeles Dodgers. Further conference highlights included thought-provoking panels on smart grid, the resiliency of California's Water supply system, waste-to-energy and conversion technology policy, transportation, and the commercialization of clean and green research. Regulations & Initiatives to Actually Optimize Energy Efficiency from VERDEXCHANGE on Vimeo. "As we look back at the first five years of the conference, VX2013 accelerated the pace for the years ahead as green economy market opportunities mature and investment grows," concluded Mr. Abel. This year’s sponsors included the Shaw Group, Southern California Edison, Metropolitan Water District, METRO, The Los Angeles County Department of Public Works, The Los Angeles Department of Water and Power, The City of Los Angeles Bureau of Sanitation, The Port of Long Beach, The Province of Quebec, The Consulates of Japan and Canada to Los Angeles, AeroVironment, Trammell Crow Company, and the Santa Monica Mountains Conservancy. To learn more about VerdeXchange please visit us at www.verdexchange.org or our facebook page www.facebook.com/verdexchange. Emissions Trading in Practice - California, Quebec, Australia, and China from VERDEXCHANGE on Vimeo.